An essential feel-good factor in your own home is a beautiful lighting. 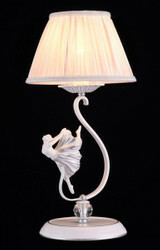 Why not a Baroque or Art Nouveau table lamp? 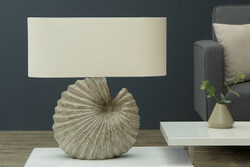 Table lamps provide for the certain basic lighting and thus contribute much to the atmosphere of a room. A Baroque and Art Nouveau table lamp provides the necessary basic lighting in a room and is often the first lamp to be turned on when needed in the dark light. Usually, a table lamp provides bright, uniform light, but can, depending on the design, also produce a more focused cone of light or, if necessary, provide diffused, comfortable light. Our table lamps in Baroque style and Art Nouveau style are especially suitable for the complete and balanced lighting of small and large rooms. Due to the exact positioning of table lamps, the light spreads evenly throughout the room. At Casa Padrino you will find all kinds of table lamps in Baroque style, whether for your home or for the food court. In general, the table lamps are complemented by additional light sources, so as to illuminate specific areas of the room even more targeted, so as to make the whole atmosphere in a beautiful light. In our online shop you will find a huge selection of high-quality table lamps in Baroque and Art Nouveau styles. Always with the right mix of glamor and style. To get an idea about our products in our online shop is one thing. 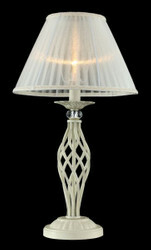 But it is even more fascinating to experience our table lamps directly and to convince oneself of the quality on site. If you happen to be in the vicinity of Essen (Germany) by chance, we look forward to welcoming you to Casa Padrino. In addition to the wide range of table lamps that can be delivered right away, Casa Padrino also offers you the possibility of custom-made according to customer requirements. For further information about the complete offer just call us on + 49-201-36577485 and our qualified support will help you in every detail! Guaranteed! Casa Padrino, your baroque wholesale on the internet and on site.